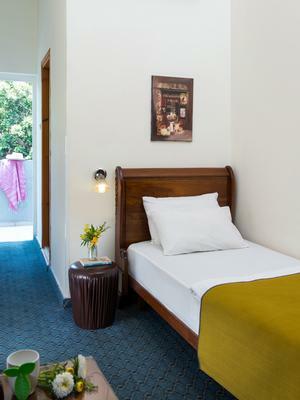 THE SUN CITY HOTEL TEL-AVIV located a minute away from Allenby high street and a short stroll from the sunny beaches of Tel-Aviv. 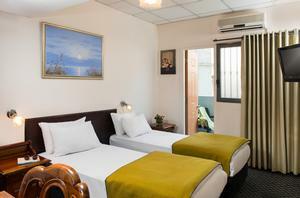 This truly Budget Hotel offers great rooms and the best value of money you will find in anywhere in town. Located at 41 Yona HaNavi St, Tel Aviv's "Soho", the area is packed with Clubs, Restaurants and Shops and you will find anything you need within reach. This fantastic budget hotel is run by a family, reception is manned 24/7 which promise you will get the best personal service at any time. Each of our rooms features Comfortable bed, Free WiFi, A/C, Cable TV, Coffee / Tea, Mini-fridge and a Safe. From here you can go anywhere using the vast public transportation options available nearby. Whether you are coming for a short stay or a long stay here you will find "home away from home and always feel welcome. We are looking forward to welcome you here at THE SUN CITY HOTEL TEL-AVIV. 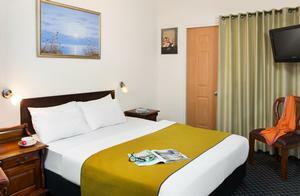 Each of our rooms features Comfortable bed, Free WiFi, A/C, Cable TV, Coffee / Tea, Mini-fridge and a Safe. THE SUN CITY HOTEL TEL-AVIV located a minute away from Allenby high street and a short stroll from the sunny beaches of Tel-Aviv. "I stopped at sun city only for 9:00 but my impression was exellent the staffs are very professi..."